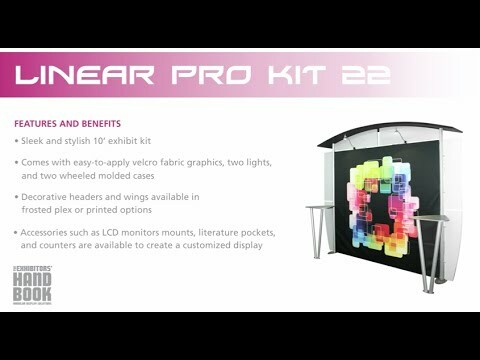 Linear™ Pro 10' x 20' Modular Backwall Kit 26 is the perfect portable display for a custom, contemporary feel. Kit 26 combines Hook and loop-applied graphics and graphic accents with a custom graphic canopy accent and four tables. 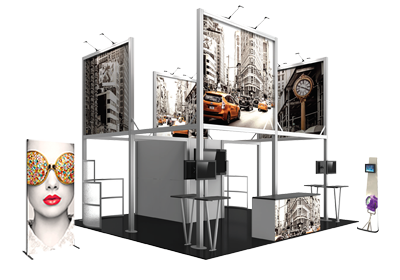 Tables provide additional space for displaying products, literature and more, and our available in four color options. Two 50 watt display lights are included to highlight graphics.